Being the female CEO of a sports marketing agency, I’m delighted at how much attention women’s sport has attracted this summer. 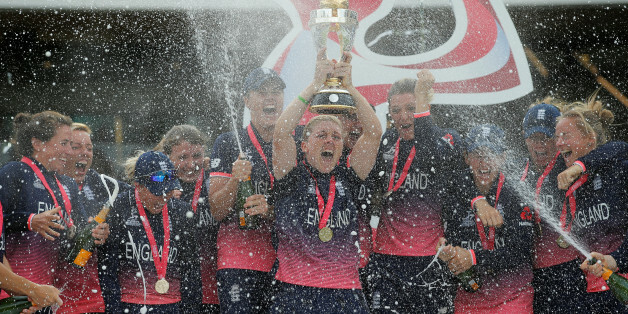 The England women’s cricket team thrilled us at the World Cup – the final against India was real edge-of-the-seat stuff. Meanwhile over in Holland, the Lionesses were on top form at the Women’s European Championships making it to the semi-finals, where they lost against Holland – the ultimate European Cup winners. Just last week, England narrowly missed their chance to lift the Women’s Rugby World Cup, losing to New Zealand 41-32. These recent top-class performances are helping to raise the profile of women’s sport and I believe we are at a tipping point: it’s time for our national women’s teams to receive the commercial and media recognition they deserve. Historically, women’s teams have faced an uphill battle without backing from sponsors and broadcasters. But with the Women’s Rugby World Cup Sevens coming up next year and the Netball World Cup in 2019 – both high-profile events – there’s real potential to build on the growing popularity and success of our female sports teams. It could deliver revenues and commercial success for both sponsors and deserving athletes. Earlier this year for example, Avon become the first female-focused brand to sponsor a women’s professional football club after agreeing a shirt sponsorship deal with Liverpool FC’s ladies team. It was also the first time the Liverpool shirt sponsorship has been sold separately to the men’s shirt sponsorship highlighting the growing interest in women’s sports. At present, women’s sports account for less than 1% of total sports sponsorship. Even here at Sports Revolution, where football dominates our business, it’s predominantly based on the men’s game. What’s interesting is how fans are reacting to women on the pitch. There’s a genuinely positive and nationwide patriotism that men’s football hasn’t stirred up in a long time. Viewing figures of women’s football are outperforming Sky’s average for the Premier League. At the last Women’s Football World Cup in 2015, England’s first game attracted 1.7 million UK viewers – an audience that remained constant for the other group matches and peaked at two million for the quarter-final against Canada. It’s a clear signal that there’s momentum building in terms of interest in and support of the women’s game. Another clear sign of the growing support is SSE’s four-year deal with the FA to become the headline sponsor of the Women’s FA Cup. This is echoed on the cricket pitch too, where reports suggested that more than 150 million fans had watched at least part of the women’s final. The ICC revealed that more than 50 million people globally watched the televised group matches – 80% more than the previous World Cup four years ago. Women’s cricket has clearly bowled fans over. England’s journey to the Women’s World Cup raised the team’s profile considerably. I believe we are seeing the start of a new approach to women’s sport. The spirit and sportsmanship of women players offers real potential for sponsors and brands alike, all of which I hope will also filter down to more grassroots participation. The success of British women’s sports teams and the increasing audience numbers is helping to attract attention and where audiences are, advertisers and sponsors will follow.